Our Long Solid Knitted Cardigan Sweater always goes with everything. Fall dressing just got a whole lot easier with flattering and versatile sweater vest. 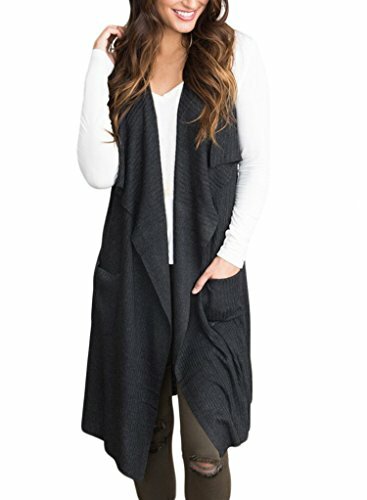 Featuring a deep plum hue, rib-knit fabric, waterfall opening and front pockets, it is a no-brainer for brisk fall days when you want to layer but don't need the warmth of sweater or jacket.